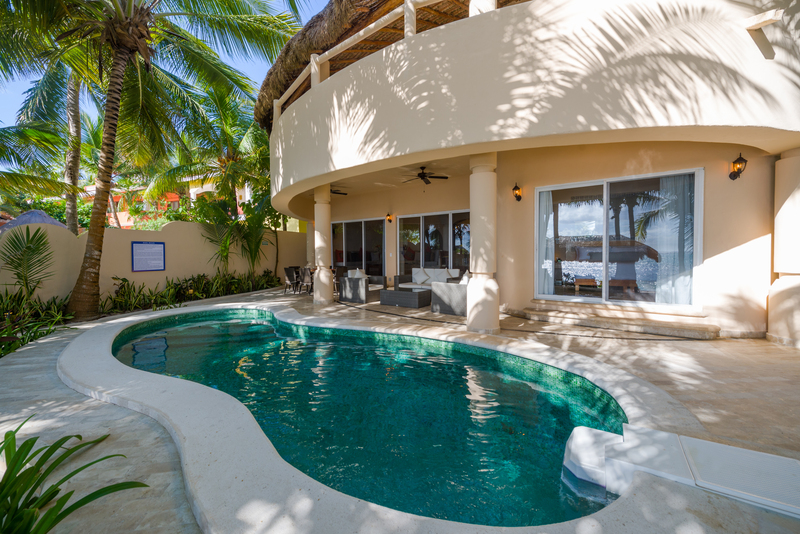 Moonstar is a beautiful private 5 bedroom vacation home rental located on the white sandy beaches of Soliman Bay in the Riviera Maya. 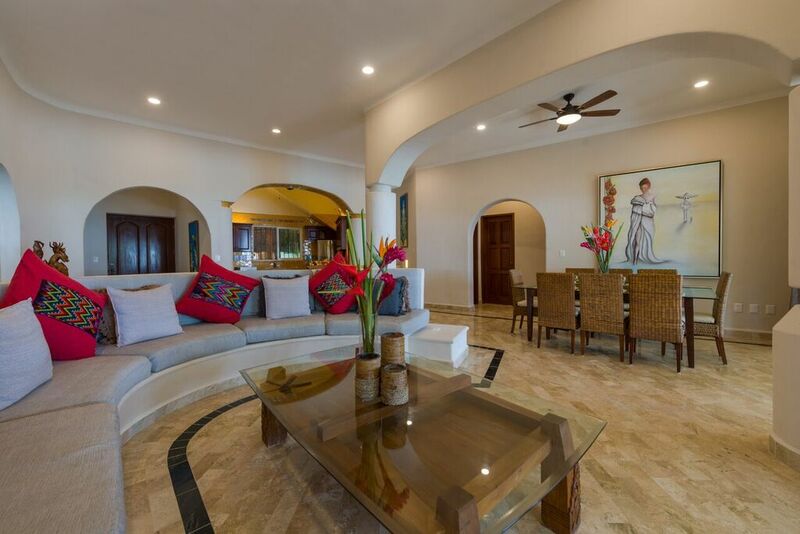 Its elegant decor is inspired by Mexican architecture and craftsmanship. 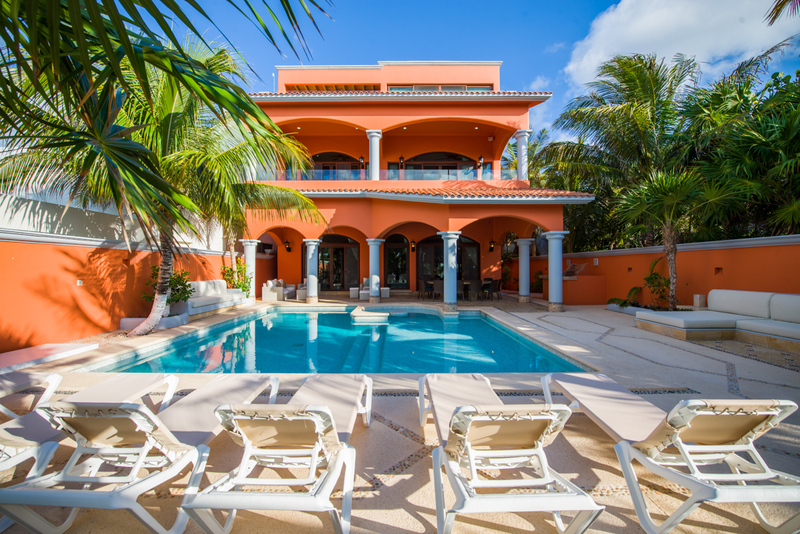 This beautiful villa can accommodate up to 10 guests comfortably. 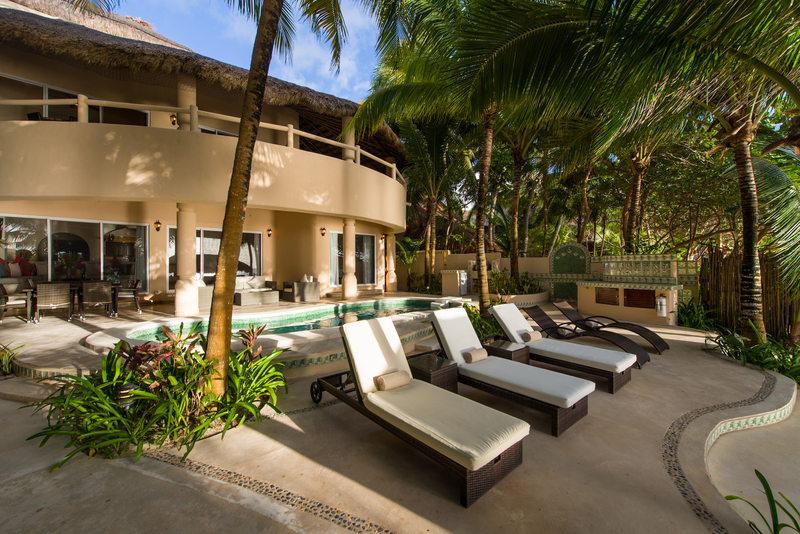 The Riviera Maya offers a variety of aquatic activities such as fishing, snorkeling and scuba diving. There are also many historical sights to be seen, such as the Mayan Ruins in Tulum. For the ecologist, there is an easy access to a few eco parks and natural attractions. The decor of Moonstar is stunning. 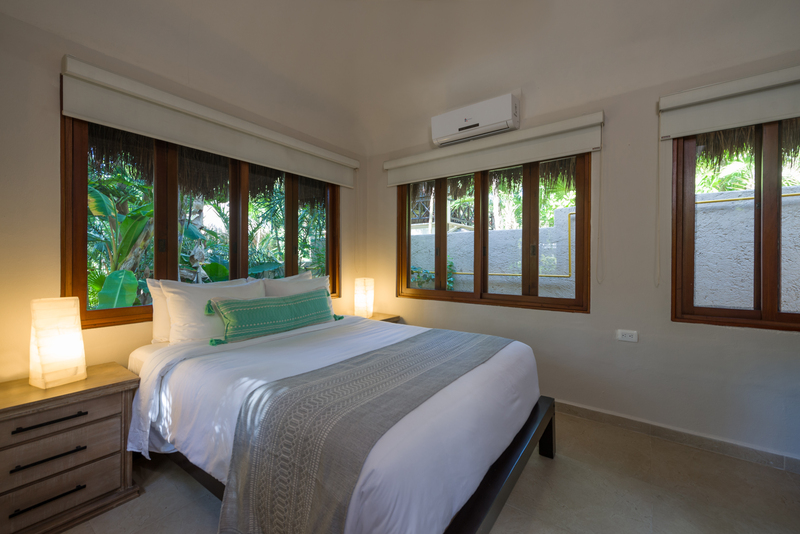 There are four beautifully decorated bedrooms located inside the villa and one guest house located in the villa's garden. 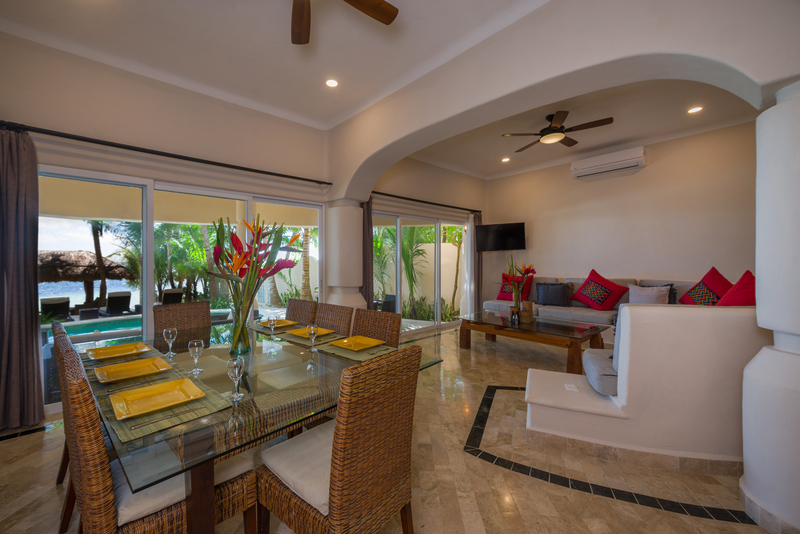 There are beautiful tile floors, huge windows and sliding glass doors that lead to ocean front views in all rooms inside the main villa. 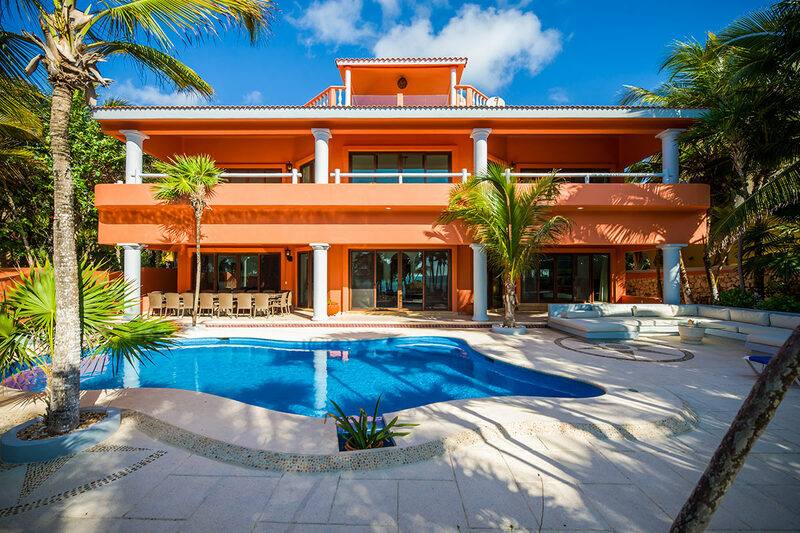 There are gracious Spanish archways, fabulous outdoor gardens and immense balconies with ocean views. 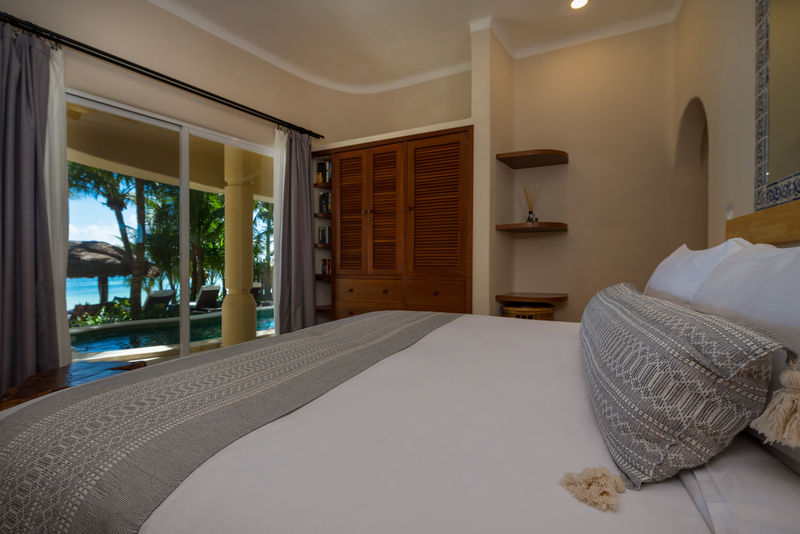 To ensure a worry free stay, we offer complimentary arrival dinner as well as daily continental breakfast. All meals are prepared daily (cost of groceries are not included). Maid Services are also included daily throughout your stay. Our Concierge is at your disposal and will help you book activities, spa services, massages etc..
© 2017 Moonstar. All Rights Reserved.